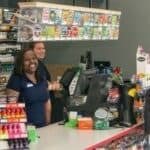 Todd Burgess has an easy answer when asked why he’s used an intelligent video surveillance solution in his Quik-E Food convenience stores for more than 15 years. Finding those incidents and stopping them quickly can directly impact Quik-E’s profitability, and that’s where its video solution from March Networks really proves its worth. “I can’t tell you how many thefts I’ve caught with the help of our video system,” said Burgess. “I had a former employee just finish paying me back $13,000 they owed us in stolen goods, and we recently caught another employee who was stealing probably $50 worth of cigarettes each day. 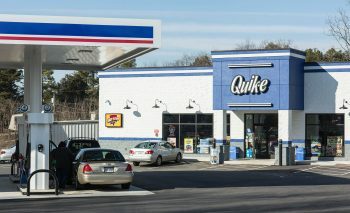 Over the years, Quik-E Food Stores has upgraded its solution to take advantage of better performance and new software capabilities. The video recorders it first installed more than a decade ago have been slowly replaced by new generation network video recorders (NVRs), able to support both analog and IP cameras or a full complement of IP-only video. Burgess has also overseen the transition from older video management software to Command Enterprise software working with Integrated Technology Group, the retailer’s longtime systems integrator. That’s in addition to moving the organization from office servers to a hosted networking solution and switching from an existing point-of-sale (POS) system to a new Gilbarco Passport POS solution.